On Thursday, December 15 from noon to 1:00 pm, the series will present a free concert in the Auditorium by the Auburn Music Club Singers. The group will present a choral program of traditional Christmas music and featuring composers including Wolfgang Amadeus Mozart, Pyotr Ilyich Tchaikovsky, Wesley D. Peters, Emmett Kennedy, Victor C. Johnson, Herbert Chappel, Johann Sebastian Bach, and Peter Gruber. Pianist Mary Slaton will take requests from the audience for Christmas carols. Gifts from Bill Wilson and anonymous friends of the series have helped to make this performance possible. The group’s director, Phyllis Gauker, has degrees in music from Auburn and from William & Mary. She studied voice and conducting and taught high school choral music in Virginia and the U.S. Virgin Islands before moving back to Auburn. There she worked for the city until retiring. In 2002, Gauker accepted the volunteer director position, promising every year to expose its members to serious choral repertoire. 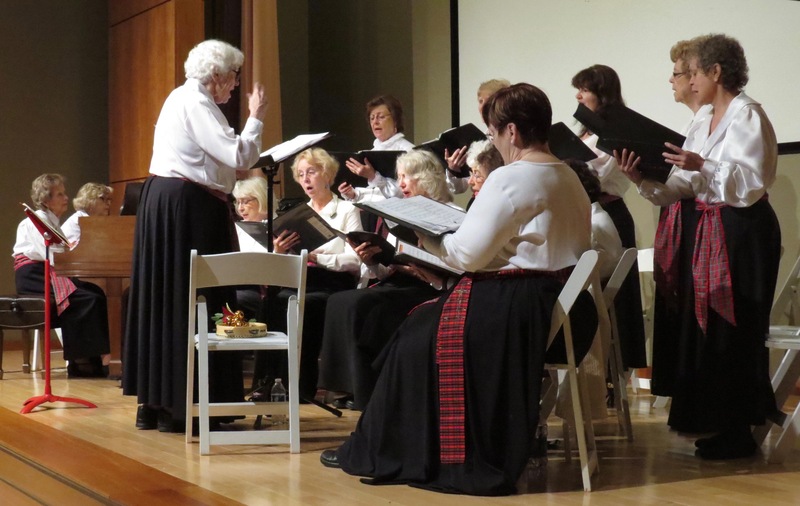 Each year, she and the Singers work up programs for a spring concert and a Christmas concert. On Thursday, the singers will present traditional and new Christmas music, with solos by Jacquiruth Kemp Stover and flutist Janet H. Sanders. Pianist Elizabeth Rutledge will accompany the choir. Pianist Mary Slaton will close the program with carols requested by the audience. “I don’t think that we’re preparing a program just for an audience,” Gauker said. “We’re doing it for ourselves as well.” The all-women group rehearses weekly on Tuesday mornings. Currently at twelve singers, they are open to accepting new members. Gauker says Thursday’s first two pieces will show the variety of music the group performs. She says Joseph M. Martin’s “Sing! Shout! Alleluia!” is a new piece with contemporary rhythms that is a lot of fun. Wolfgang Amadeus Mozart’s “Alleluia Canon” follows, composed in the late 1700s. “In contrast it is so wonderful,” she said. Gauker says her mission is to foster the experience of singing in an ensemble. 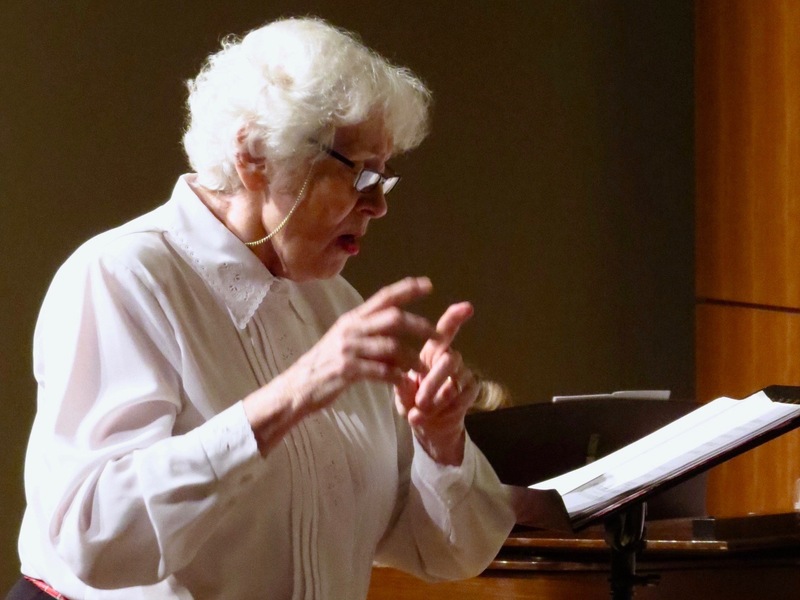 She says a professional approach to rehearsing choral repertoire gives a real feeling of accomplishment, and that the whole is greater than the sum of its parts. “They get the satisfaction of the soloist who could do it alone without having to do it alone,” she said. For information about joining the Auburn Music Club Singers, contact Gauker at 334-887-7261.